Okay, I’m officially a superfan of Creston Mapes, and I hope he writes a million more stories! That’s how wonderful Sky Zone is! 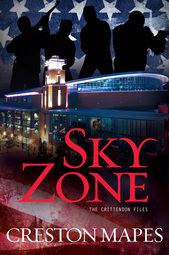 Sky Zone is the third book in the Jack Crittendon series. Jack started out in book one, Fear Has a Name, as a local reporter who wasn’t walking with God quite like he should have been. And his marriage was suffering because of it. In book two, Poison Town, Jack and his wife are trying to draw closer to each other but there’s so much strife left over from book one, that neither one fully trusts the other. In this third book, Sky Zone, Jack is employed part-time at an arena after losing his job at the local newspaper. Their family is struggling to make ends meet and his pregnant wife, Pamela, is bringing in most of the money. She’s stressed to her limit and never gets a moment of peace, especially since her mother with the beginnings of dementia is living with them now. Jack is going through the motions of life, not sure if he can believe that God has a plan for him and his family, when BAM…there’s a terrorist threat at the arena! Nothing like a threat to your life to make you put things into perspective! Creston once again had me on the edge of my seat, turning the pages while I dried my hair, cooked dinner, walked the dog, drove to the store (not really, but I would have if I could have!). The characters in this book are all so deep and complex, and the story was one that made you stop and think about the fact that this type of thing really could happen! I found myself wondering what I would do if I was in an arena for an event and received the news that terrorists were in the building. Would I flee out the closest exit? Would I stay and fight for what was right? Would I hide and hope not to be found until the terror had ended? This is a book that you don’t want to miss (just like the others in this series). 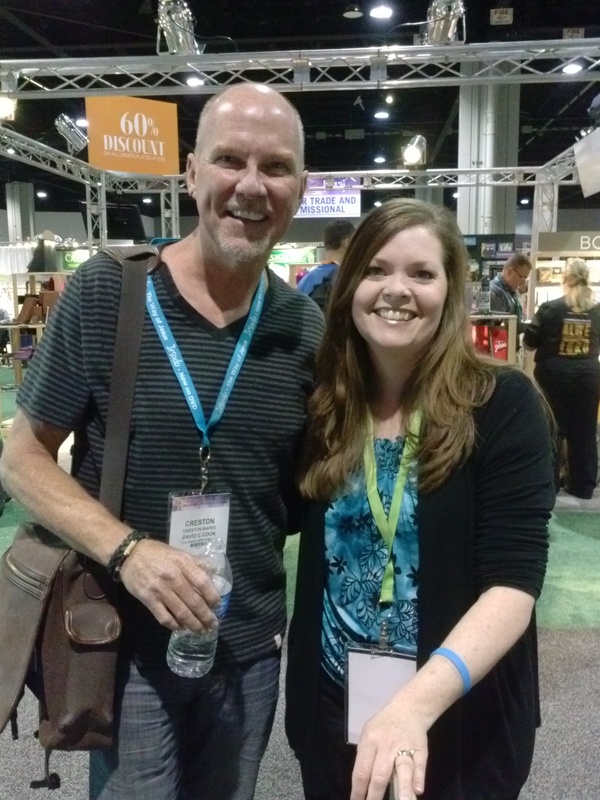 A treat for a superfan: I got to meet Creston this week at the International Christian Retail Show in Atlanta. Made my day!